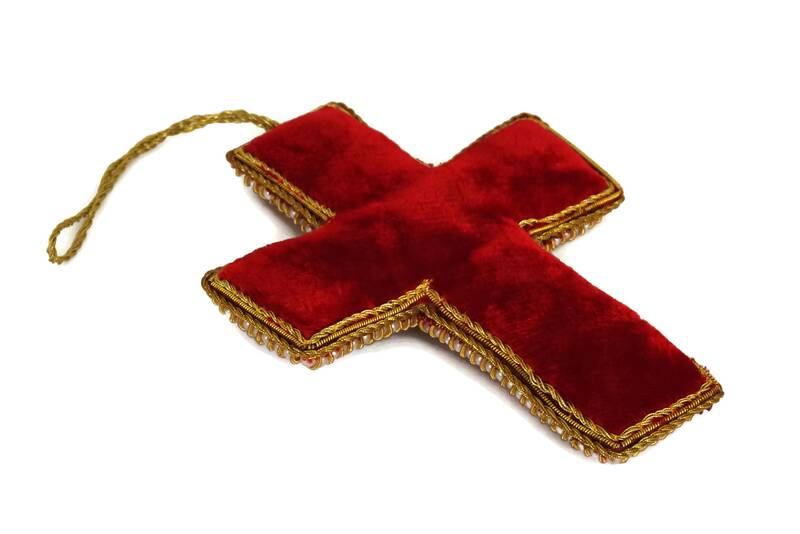 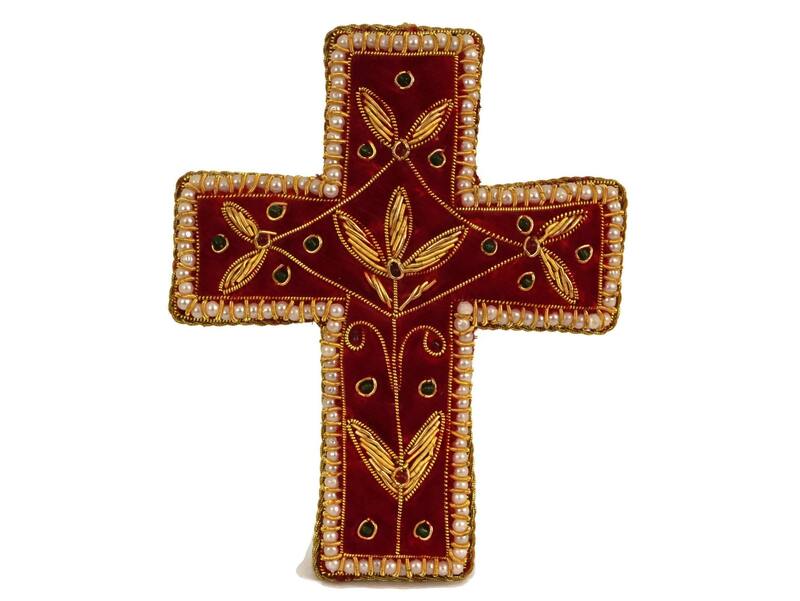 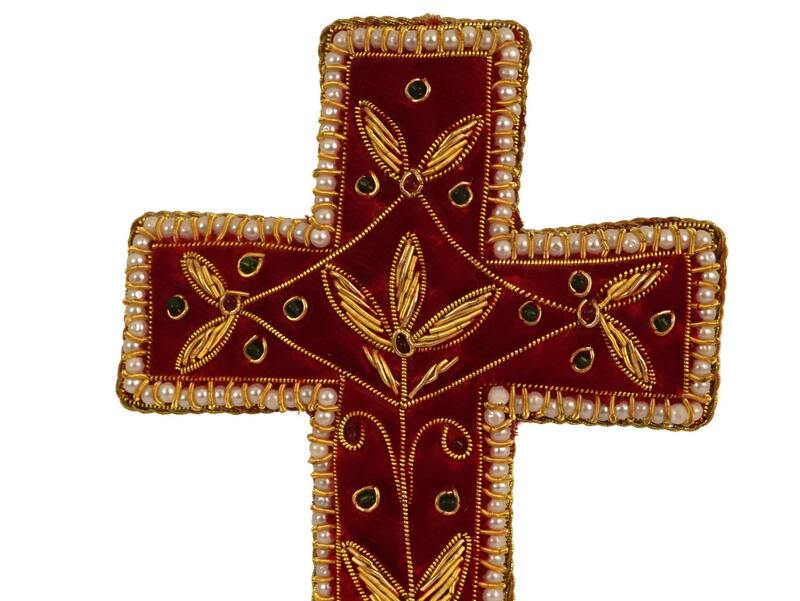 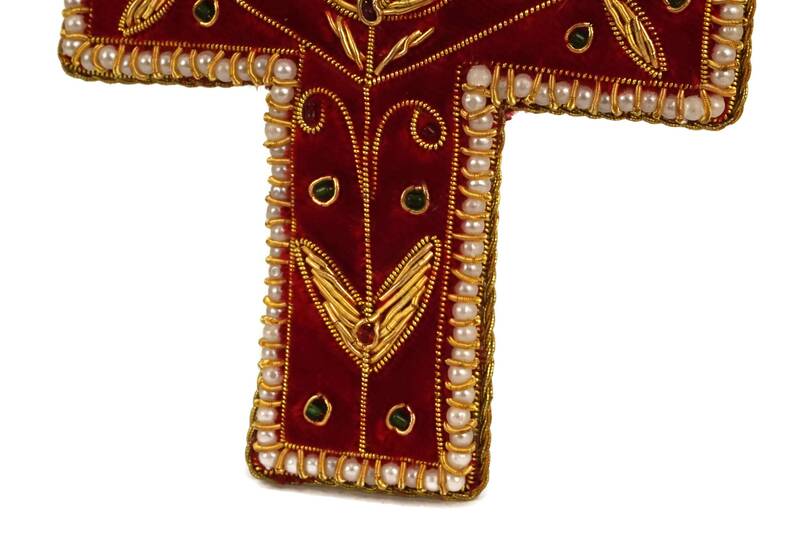 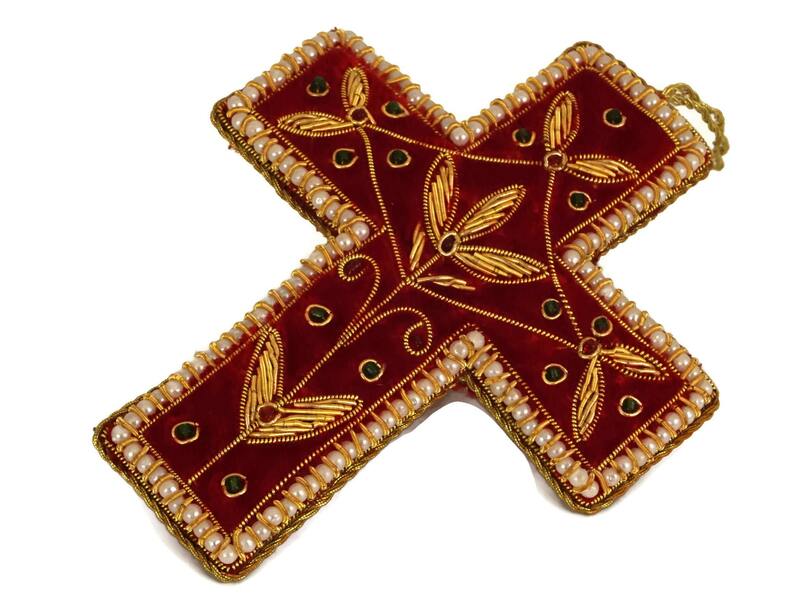 An exquisite vintage French cross with gold thread embroidery and beads. 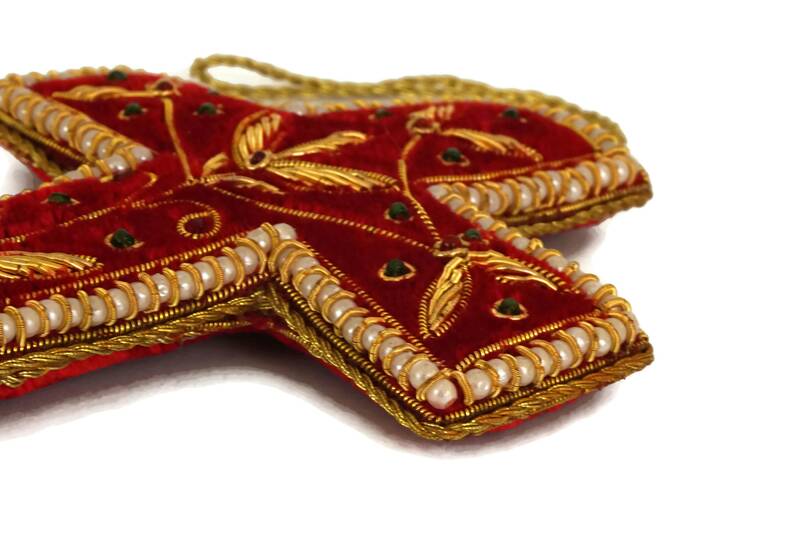 The hanging ornament has been hand made from red velvet fabric and features an ornately beaded design with intricately hand stitched metallic thread contrast. 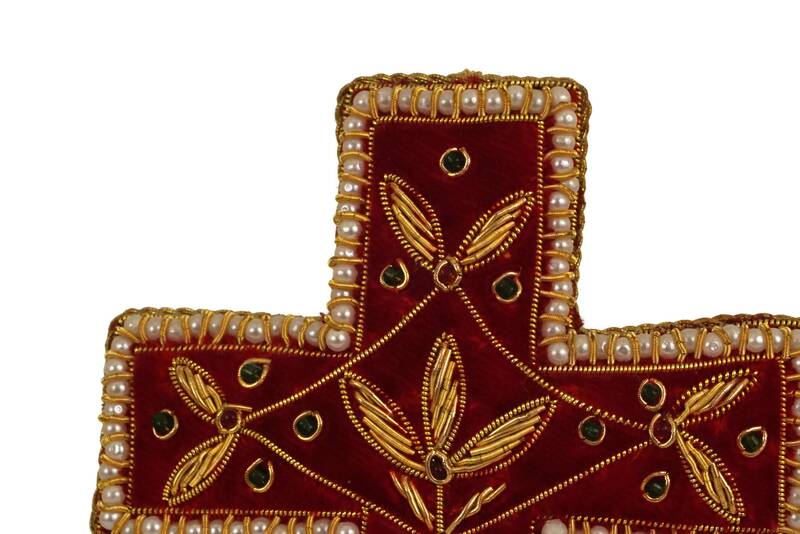 The interior has a soft wadding filler. 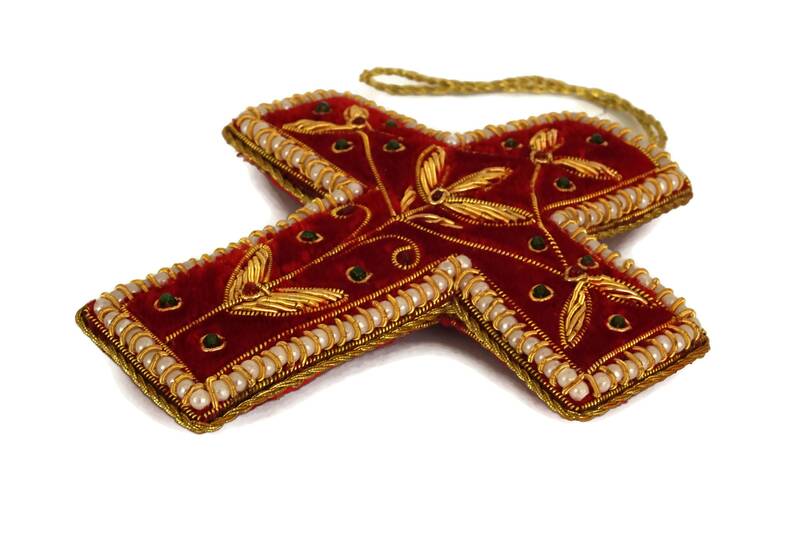 The cross ornament has a long metallic cord hanging loop. 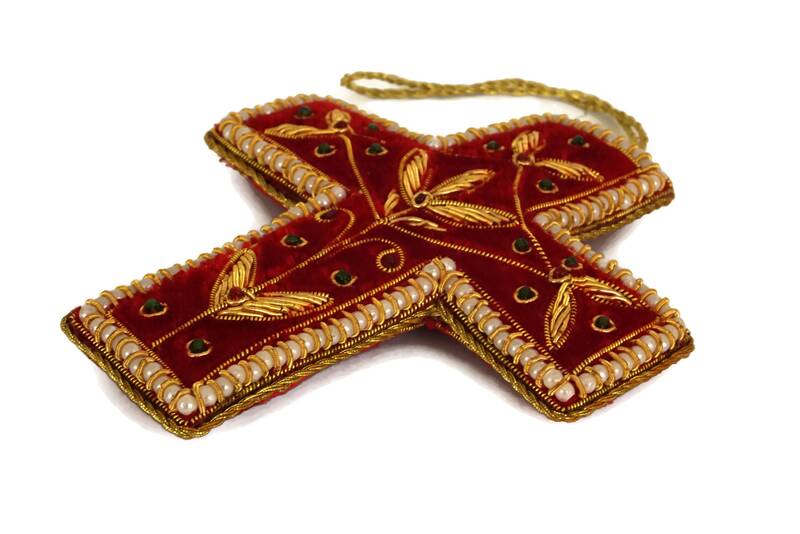 5" Long x 4" Wide (13 cm x 10 cm). 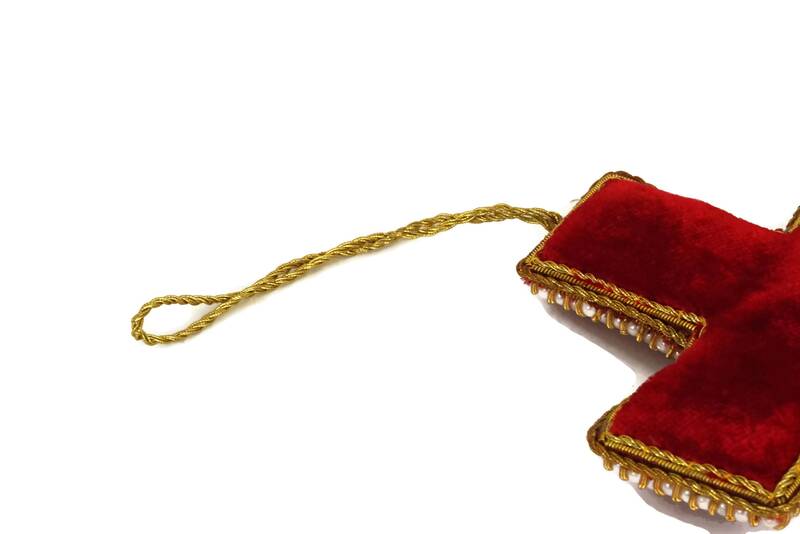 The hanging loop is 3" Long (8 cm).